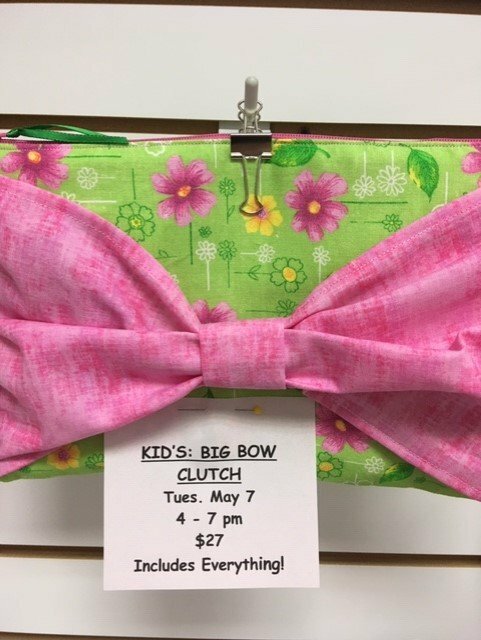 Inspired by Easter bonnets, this clutch is so sweet! Sewing machines are provided. Sign up soon, as space is very limited.